Over the last couple of years, one of my favorite things to do is to make a homemade gift for people. It doesn’t matter if it’s their anniversary or a Christmas gift. I just feel like it means more when some thought and hard work has gone into it. For Thanksgiving this year, my family will be celebrating at my sister’s house and I put together this collection of Edible Gift Ideas with the intention of making one just for her. 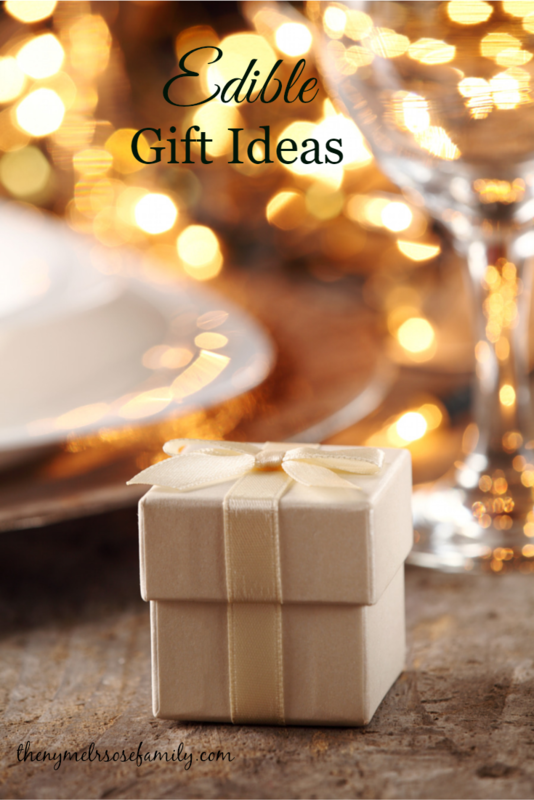 They would also make great neighbor gift ideas as well to go along with my Easy DIY Gift Ideas collection. Click NEXT to view the NEXT Edible Gift Idea.